Today’s guest post has been submitted by Christina Cline Schneider. Christina and I have known each other for years, growing up down the street from one another and recently reconnecting for a weekend in Atlanta. She is an awesome woman on a personal journey into uncharted waters, and she shares part of that journey today. Thank you so much, Christina! This is a fantastic No-Take-Back. 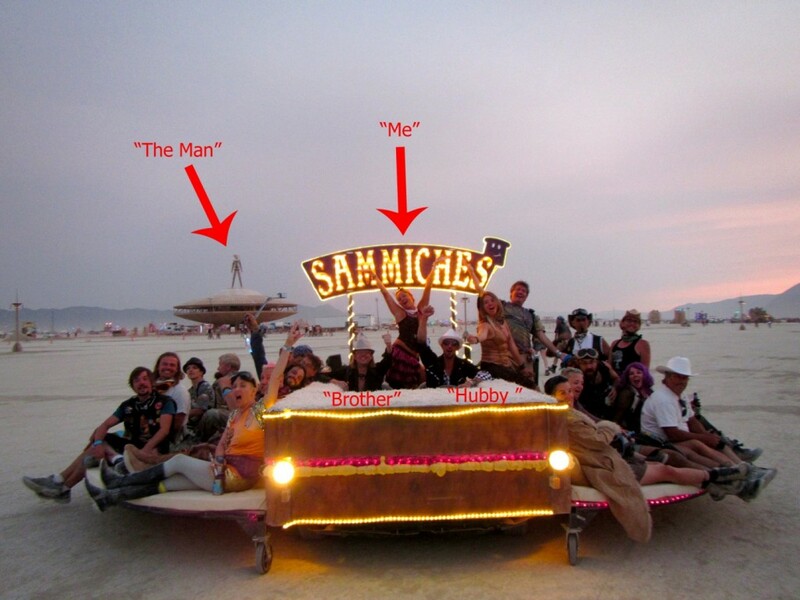 Two years ago my husband and I made a powerful decision to attend the festival known as Burning Man. Back then we had no idea that a week in the desert would change our lives forever. Most people, who had never been, said it was a drug induced party in the desert while others said it was a spiritual journey. All in all, it became transformational on many levels. 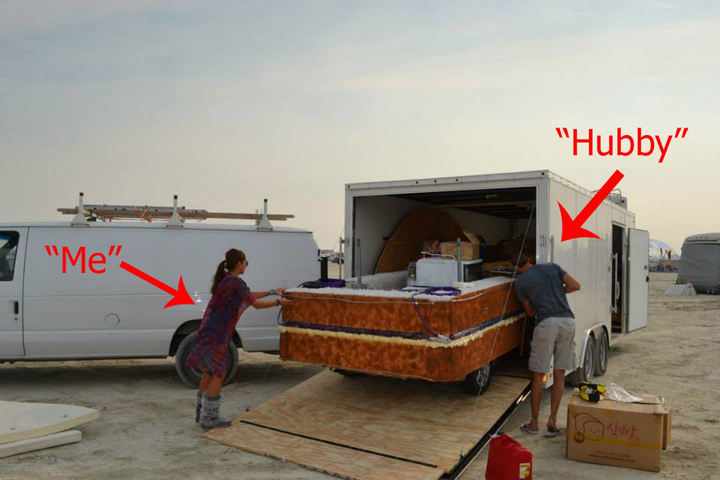 What is BURNING MAN, you ask? 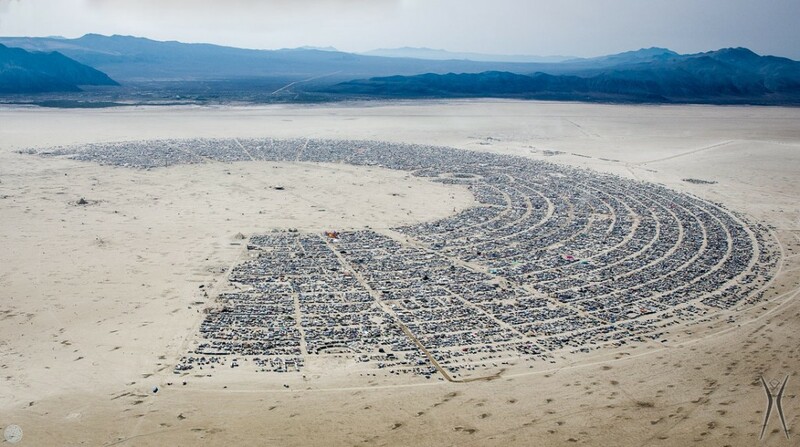 You can check out the ten guiding principles of Burning Man here. Glad we cleared that up! Now, let me share our 2013 journey to the flames. We built an art car! Hooray!! What is an ART CAR (sometimes mutant cars)? Basically, it’s a car that has been turned into art. 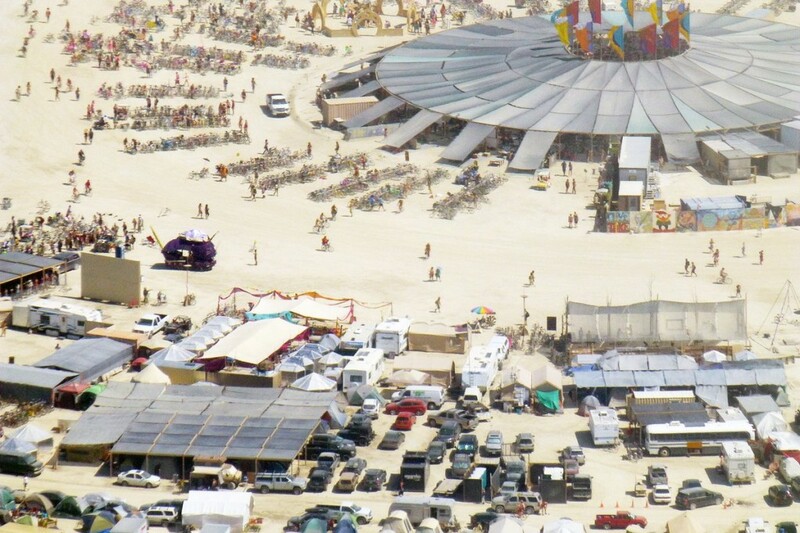 The car becomes transportation around the playa. In the years before we always biked, however, this makes for fun transportation. All cars have to pass inspection and be licensed with the Black Rock City DMV. 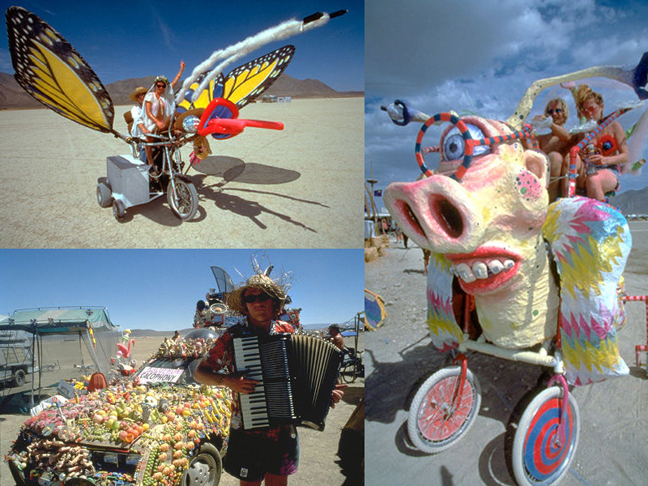 Below are some examples of art cars over the years. Note: you don’t have to build an art car to attend. The playa is the remnants of Pleistocene Lake Lahontan, a dried up lake bed, which 13,000 years ago covered 8,665 square miles of Nevada. 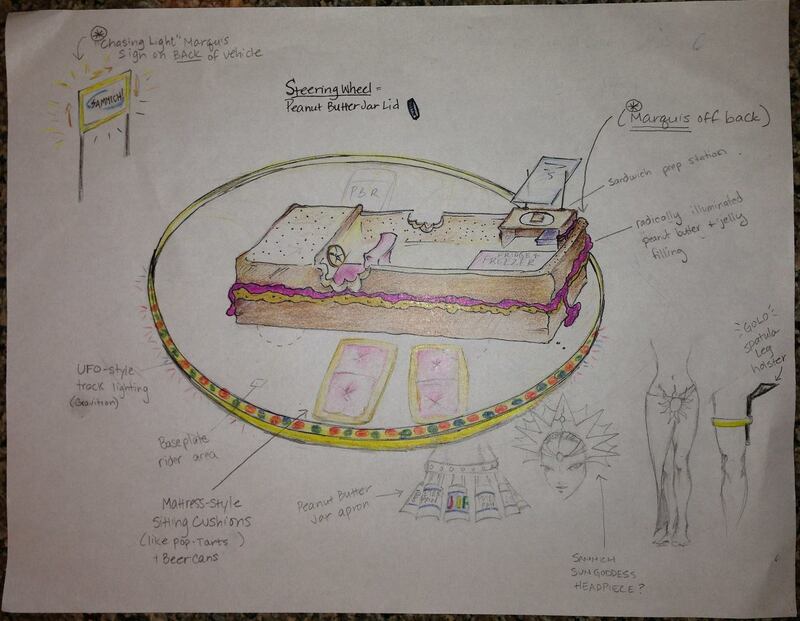 The Great Sammich Ride concept. The project began with a first generation Prius 8 months prior to the festival. The Engineer behind the vision, Mike Cline, aka brother, and many others, contributed to make this vision possible. Click on here to get a better understanding. After picking up peanut butter and jelly supplies and gluten free bread donated by Canyon Bake House in Fernley, NV we began hurtling down 447 heading north towards Gerlach. 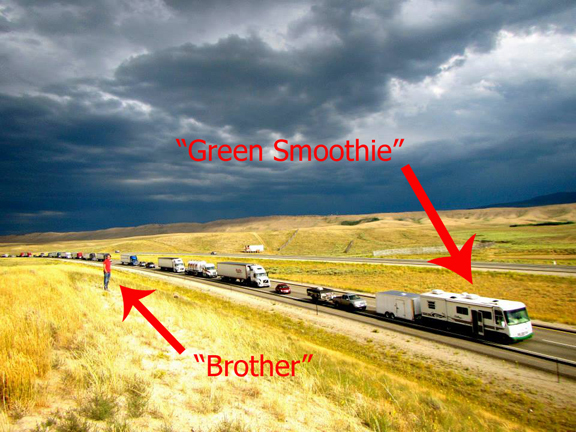 Our 35 foot Green Smoothie, aka motel 6 on wheels, does her best to pull us along with trailer in tow. It’s a two-lane road of smoldering desert asphalt with little to no shoulder, should we go flying off. We are on the edge with excitement. Picture taken somewhere in Wyoming on the way to BRC. The two-lane highway turns off and onto a new road. 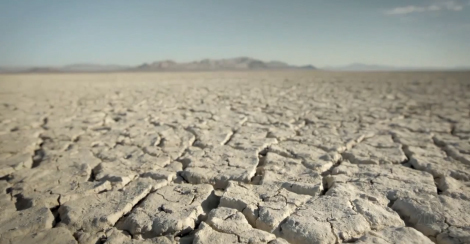 Soon we begin driving slowly onto the playa, a 400 square mile known as Black Rock Desert. We continue down the road until we approach our camp site. After months of preparation we have arrived and prepare the car for a week of joyous Sammich making! The art car began as a first generation Prius. The roof was cut off and after months of work she became The Great Sammich Ride. Her job now is to serve Hot PB&J Sammiches and Ice Cold beer. That’s right – we had a kegerator behind the passenger seat. All those happy smiling faces I met while serving them Sammiches are unforgettable. Christina at the top of an art installation. A total No-Take-Back. Christina’s whole-hearted embrace of something so new and totally beyond her comfort zone is what we should all be striving to do in this life. 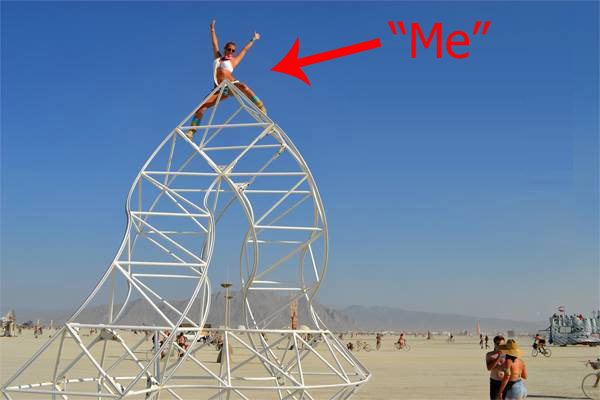 So, let me ask you – have you been to Burning Man? If so, what did you take away from it?